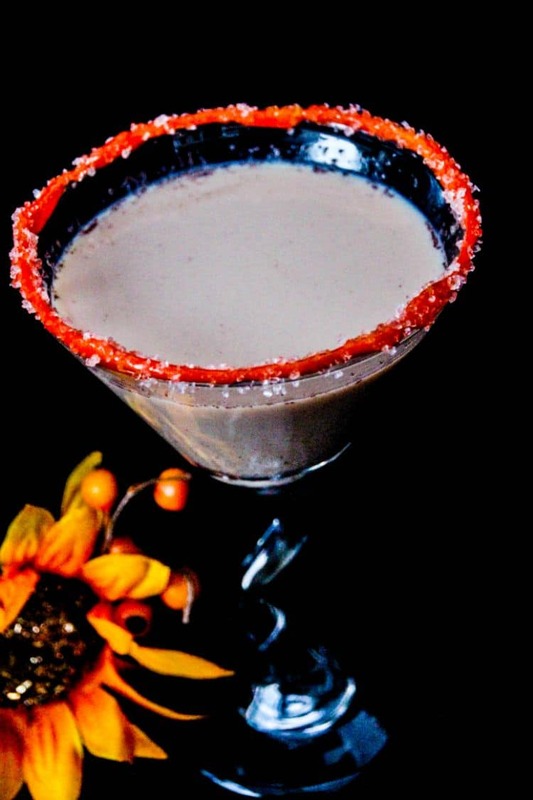 Can you believe that Halloween is almost here? It feels like this year is just flying by! 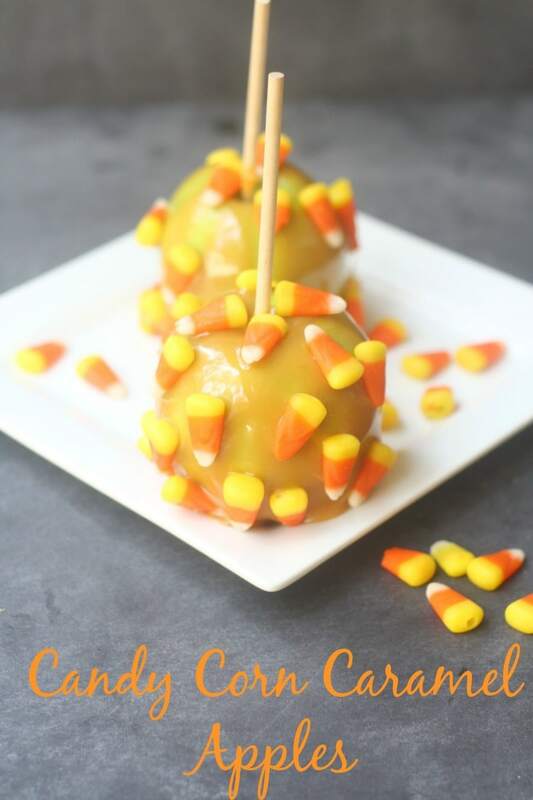 My kids were asking for candy corn the other day, so I decided to have a little fun and make these candy corn caramel apples. 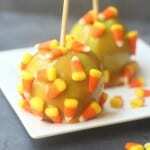 They were so easy to make and the kids loved them! 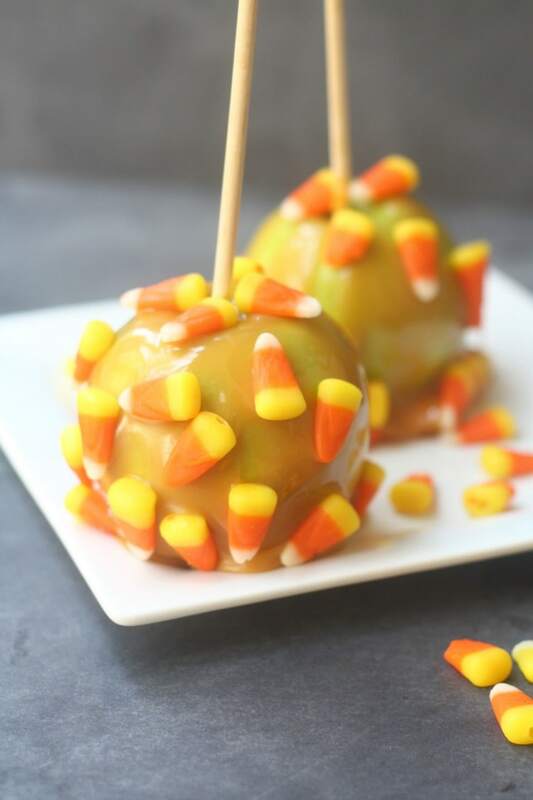 This caramel apple recipe is easy to make and only requires a few ingredients. 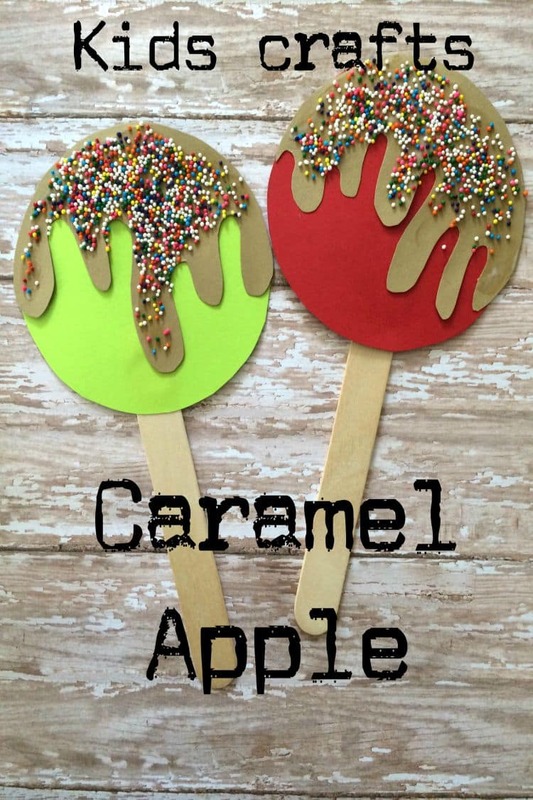 The kids will have a blast helping you make these…and eating them! 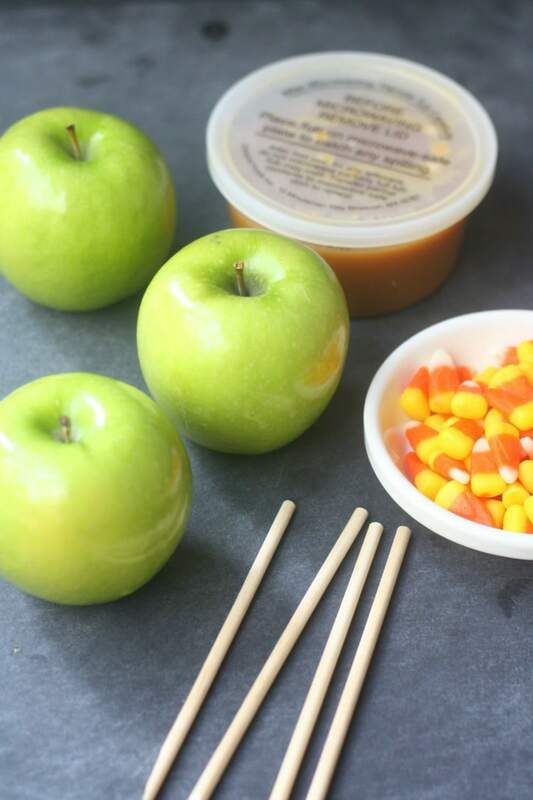 Once all your apples are coated place the cookie sheet in the refrigerator for 1-hour to allow the caramel to get firm. Then enjoy. While we’re on the topic of apples, make sure to check out these apple cider donuts. These apples are too cute! Thanks for linking up with What’s Cookin’ Wednesday!